The Theatre Studies program combines studies in theatrical subjects with broad preparation in the liberal arts to prepare students for a wide range of careers. Graduates have gone on to pursue careers in professional theatre, education, public service, and countless other fields. Because of the focused curriculum, the Theatre Studies program allows the student to take a second major or to pursue minor concentrations in two or three other academic areas. Due to the strength of Wright State’s theatre production program, the Theatre Studies student can acquire a high level of both practical and theoretical knowledge and experience, a distinction not afforded theatre students in programs with less extensive production emphases. Theatre Studies students are encouraged to diversify their education in a variety of disciplines. The major in Theatre Studies is generally considered to be preparation for further study at the graduate level. Theatre Studies students can apply their education and experience to a variety of professions, particularly if they pursue an advanced degree. With the advanced degree, students can find positions in professional theatre as a playwright, critic, dramaturge, or journalist. Other possibilities include positions in public relations, business, or government. College or university teaching is an option for those who earn a graduate degree. Theatre Studies majors working toward the Bachelor of Arts degree combine the breadth of a liberal arts education with specialized preparation for a career in theatre or theatre-related areas. The department encourages students to maintain a balance between theory and practice, as well as among the various arts of the theatre, gaining insight and perspective by studying art, history, literature, music, philosophy, religion, and science. Students master the fundamentals of acting, directing, history, literature, and design/technology. They may choose to concentrate in one of these or other areas through their choice of electives. Theatre Studies is a flexible major that incorporates Wright State’s general education requirements with department requirements and electives. 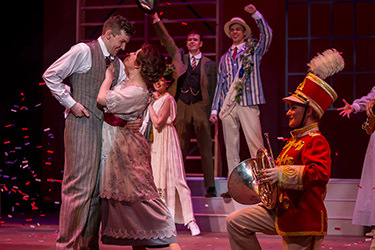 View the Bachelor of Arts in Theatre Studies program information, degree requirements, and graduation planning strategy in the University Catalog. 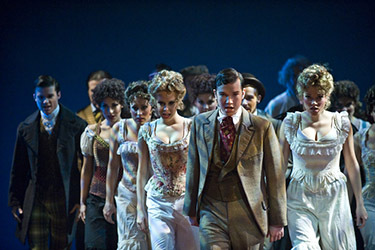 Theatre Studies students must maintain a grade of "C" or better in all classes required of their major to be retained. Students who are not making satisfactory progress, even with a grade of "C" or better, may be advised by the faculty to withdraw from the program. An overall GPA of 2.5 is required for graduation. 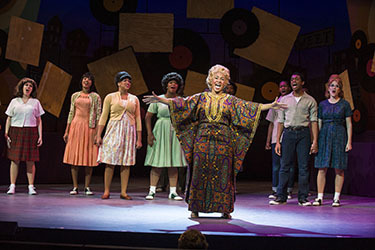 The Theatre Studies program at Wright State University operates on open admission. If you qualify for admission to Wright State University, you may elect Theatre Studies as your major. Apply online for admission to Wright State University. Provide copies of academic transcripts to Wright State University Admissions and the Department of Theatre, Dance and Motion Pictures. Transfer students may be accepted into the program after a university admissions process. The university generally follows a liberal policy in accepting credits, allowing virtually all credits earned at an accredited institution from courses in which the student earned a “C” or better. The Office of the Registrar is responsible for determining which credits are eligible for transfer. The Department of Theatre, Dance and Motion Pictures offers an array of scholarships based on talent, academic performance, and financial need. For first-year students, the audition will determine qualification for a scholarship. Talent scholarships are awarded for one year to students in acting, dance, motion picture production, and design/technology. Students in all majors are eligible to apply each year for merit scholarships. Although competition for scholarships is keen, the department provides generous support to qualified students throughout their four years of study to enable them to complete their degree.